Stay right in the Historic Heart of Edinburgh! 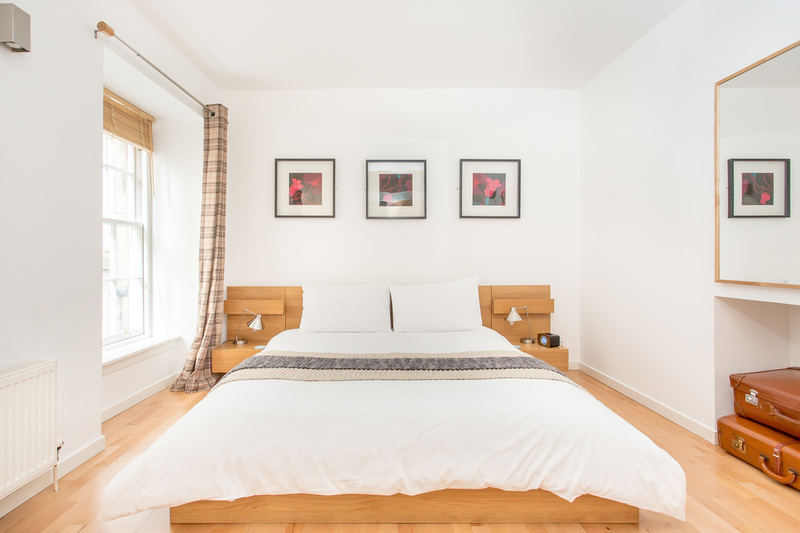 This stylish and contemporary, first floor apartment for two to four guests is located in a secure, quiet, 200 year old Close on the vibrant and historic Grassmarket, and is just a few steps from all of Edinburgh's major attractions and transport links. The Royal Mile and Edinburgh Castle are about 2 minutes walk from the apartment and Princes Street & Waverley Railway Station are only 10 minutes walk. It's basically the perfect location from which to step out, experience all the sights and discover your own Edinburgh! Edinburgh is known as the "Athens of the North" and is a designated UNESCO World Heritage Site in recognition of the unique character of its medieval Old Town and beautiful, planned Georgian New Town. Stunning Edinburgh Castle dominates the skyline and the "Royal Mile" leads from the Castle through the Old Town, with its historic buildings and quaint, cobbled streets towards the Palace of Holyrood House and iconic Arthur's Seat, which provides fabulous panoramic views of the city. Every August, the city hosts the world renowned Edinburgh International Festival and the New Year celebrations or "Hogmanay" also draw thousands of visitors. The Grassmarket, which is on this apartment's doorstep, hosts numerous pubs, restaurants and cafes where you can sample the local delights in a picturesque and historic setting. Other interesting places nearby include Victoria Street, the National Museum of Scotland, Greyfriars Kirkyard (and Greyfriars Bobby!). Princes Street, Edinburgh's main shopping street is a short 10 minute walk away from the apartment and Edinburgh University, several theatres, Calton Hill and Arthur's Seat are also within easy walking distance. After a hard day out exploring the city sights, the apartment offers a luxuriously comfortable King-size bed to ensure a good night's rest (bedlinen and towels provided). 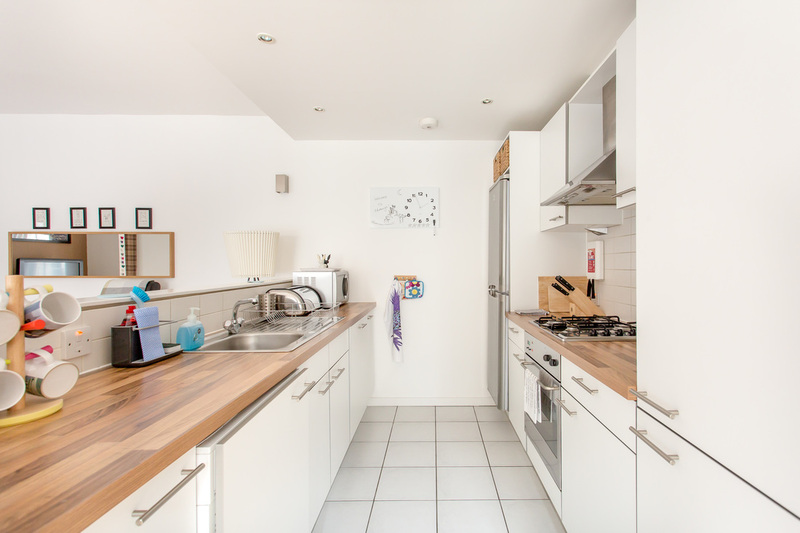 Should you wish to dine in, the fully equipped kitchen has everything you could possibly want to prepare your meals (and a dishwasher to help with washing up). There's also a washer/dryer so you can keep up with your laundry! If you want to wind down in the evenings, there's a comfortable lounge / sitting area with flatscreen TV and a DVD player. Free Wi-Fi is also provided. There's a bus route right on the Grassmarket (number 2 bus) and many more local buses are available a short walk away on nearby George IV Bridge & North Bridge. The airport bus (Airlink - #100) runs every 10 minutes or so during the day between the airport and Waverley Railway Station, which is a short 10 minute walk from the apartment. Prices from £110 to £180 GBP per night. Available for short breaks (3 nights minimum) and longer lets, with discounts for stays of 7 nights or more. Please see our Rates and Availability page for further information on current availability and prices and the Map and Local Information pages for further details on the location and its many attractions. 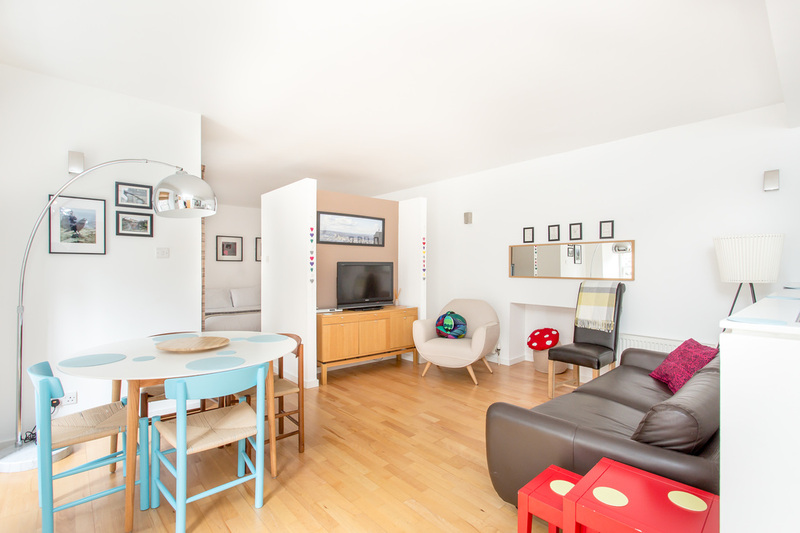 Need accommodation in Edinburgh for more than four people? Then check out our other luxury apartment in Edinburgh at www.17thepenthouse.com, which sleeps up to seven. Secure credit / debit card payments can be made via PayPal.